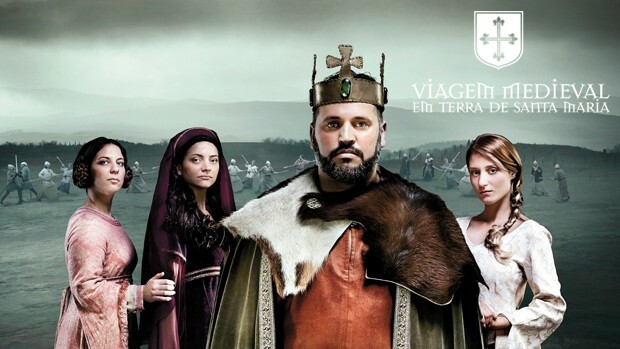 On “Medieval Journey” is intended to convey to the public the various activities of the time D. Afonso II. You can watch the street theater, medieval tournaments and various other activities. Since the creation of this journey through time, the inclusion of all visitors in the precinct of the event has been thought were being made several improvements year after year. Several measures were taken: access ramps, lowering guides, identification of parking spaces. This year, these concerns remain, but attention will also focusing on reducing communication barriers with events translated into Sign Language. On August 3trd, between 15h00 and 18h00, two Portuguese sign language interpreters will be available to visitors in the thematic area of ​​child training Squires, on the banks of the Rio Caster. 21h00 follow for Small Soldiers, the climb to the castle. At night, from 22:00, will the translation of the show “The Testament”, in the cloisters of the Convento Museum of GVP. For the August 7th is scheduled a visit enclosure accessible by the Medieval Journey to be held between 14.30 and 18.00, with a guide and interpreter in sign language Portuguese. Between 15h00 and 18h00, another interpreter will be training in the subject area Squires and at 21.00 in Small Soldiers. At night, 22h00, the show “The Testament” to take back translation Portuguese sign language. These actions have the collaboration of the Portuguese Federation of Associations of the Deaf (FPAS), particularly in the interpretation, free in Portuguese sign language content of the program of Medieval Journey which will be available on the official website of the event, as well as the dissemination of the various initiatives with national associations of the deaf.